Enablement event planning within large organizations can be a logistical nightmare. If you overlook or forget a tiny detail, chances are someone will complain about it. 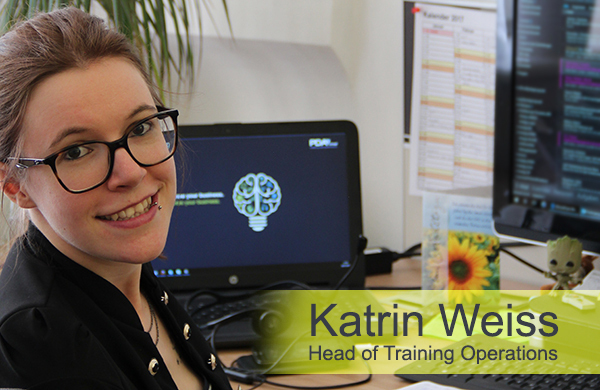 In the end, enablement event planning almost always takes a lot more time and effort than you had expected.We sat down with Katrin Weiss, one of PDAgroup’s enablement event planning experts, for an interview to find out her secret tricks to ensuring that enablement events run smoothly. How long have you worked at PDAgroup? I am part of the training operations team, and I am responsible for organizing different enablement activities for SAP in the MEE region. This includes creating seminars, trainings and other events and invitations to them in our online systems, sending out confirmation emails, and organizing venues and catering. We also serve as a very important point of contact if partners have any questions regarding an event. Of course, I have learned a lot from my department manager, Angelo Constantini. But you also have to try different things on your own to discover how do things work best for you. Sometimes doing research is required. As I have a C-user account, I am able to access different SAP portals and I am able to find a lot of the information I need there. Sometimes, though, it is better to get in touch with a specific contact to give me further information for a personal perspective. What is unique about the way PDAgroup plans enablement events? Since we have been organizing events for SAP for several years, we have a lot of experience, we know what is important, we are familiar with all of the venues and facilities at each of them, we have built a lot of long-term relationships with people, not only inside SAP but also when it comes to catering. We are very committed and try to do everything perfectly. 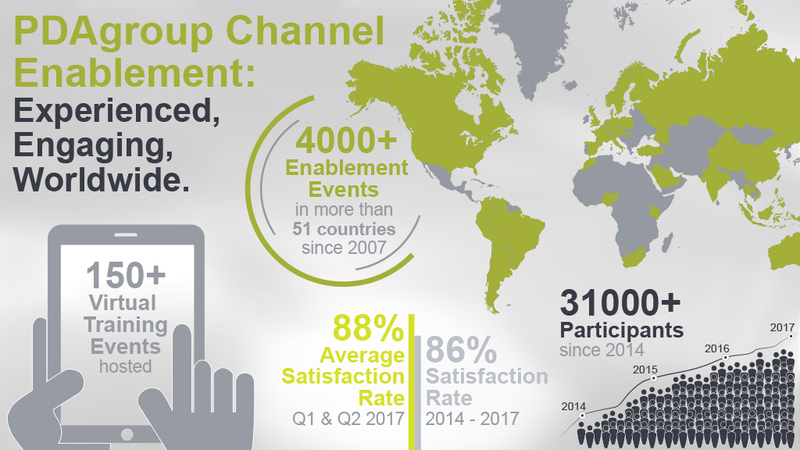 What is your special approach to organizing channel enablement events? During the first conversation with a client: I discuss everything to make sure all details of the client’s wishes are clear from the very beginning. From calculating the cost and ensuring that the appropriate budget exists, setting the agenda times for the day of the event, deciding who is responsible for sending out the invitations to participants, determining the catering needs to every detail of the room setup (wireless internet, chair types, furniture arrangements, and where the outlets and connections are). While planning: I go through my own personal checklist, mark every important date on my calendar, and document every detail. On the day of the event: If it has not been requested for me to offer on-site support, my team and I are always available should questions come up. After the event: We have a detailed feedback process in place. What trends are emerging in enablement planning, and have things changed from a few years ago? Yes, everything is becoming DIGITAL. If, for example, you have requests regarding room equipment, you no longer send an e-mail. Instead, you create a ticket in a system. The same is true for catering. It is easy for me to get anything you need for an event because I am very familiar with all of the various request systems. Another change is documents have moved to the cloud. After events, you do not send materials via pdf to the participants. Instead, you upload them in Mobile documents and distribute the link. The same is also true for other useful documents such as feedback forms. Nowadays, we rely mostly on our online feedback forms and no longer use paper forms for evaluations. What additional services does PDAgroup offer that customers might not know about? For every event, we do everything to organize events so that our clients don’t have to worry about any of the logistics – but we also offer on-site support on the day of the event to reassure our clients that special or large events run perfectly. For us, it is very simple to send out online feedback forms to the participants after an event and then provide a PDF feedback report to our customers. This feedback can be extremely valuable to our clients. Describe a favorite project you’ve worked on. The Best Performance Challenge: It was really tough, but in the end, everything worked out well. I organized all of the webinars for partners who had to present their final presentations to a jury. I had to be very focused and work closely with customers. What is the most exciting or interesting place where you have gone for an enablement event? As I only work for the MEE region (DACH & CEE), I am often in Walldorf, Germany. But several exceptions stand out in my memory. Once I was in Prague and I can remember going on a very nice walk through the city following the events that day. Another time I was in Hamburg and had a wonderful steak dinner with some clients. In your time at PDAgroup, what are you most proud of? That my customers trust me 100% and we have a really good relationship with each other. They know I really give my best and they are happy with me and the services PDAgroup provides them. What’s your favorite quote that applies to your work? What’s your favorite quote in general? What is your favorite viral video that you have recently seen? Thunder from Imagine Dragons, it is about just doing what you want to do. Traveling to cities, reading, going to the cinema and meeting my friends. Engaged, polite, detail-oriented and has a very structured working style. 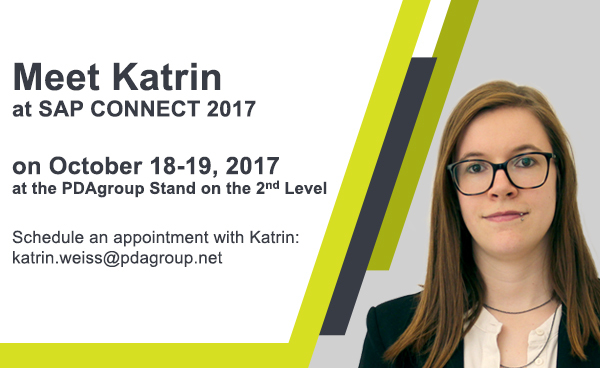 You may also get in touch with Katrin via LinkedIn to find out more and gain insights about enablement event planning.